We’re quickly speeding through February, can you believe we’re already half way through? Kind of crazy! Today I have a super fun gradient design to share. I’ve been kind of obsessed with gradients lately–I go through fazes, & now that I’m all stocked up on my Edge Perfection I’ve been a little gradient crazy. For today’s design, I was feeling pink. I wanted something a little Valentine’s Day-esque without being too over the top. I started out with the gradient, then added some holo glitter. & then I thought–why not some stamping too? I was a bit scared it was all going to be too much, but I think because I didn’t use contrasting colours, the whole design really works together. I’m really loving this gradient! & obviously I took some macro shots! You see the holo glitters much better this way, since my desk lamp doesn’t show them off as well as I would like. Also it shows off the blend on this gradient, which I have to admit, I’m pretty proud of. Especially since my early gradients looked something like this. I’m so happy with this whole design! I know it’s not oh my god Valentine’s Day, but it’s pretty & pink & what is more lovely than that? What do you think of this design? Do you like all the layers, or do you think it’s too busy? Let me know your thoughts in the comments below! Happy Sunday everyone! It’s one of the best days of the week… Swatch Sunday! 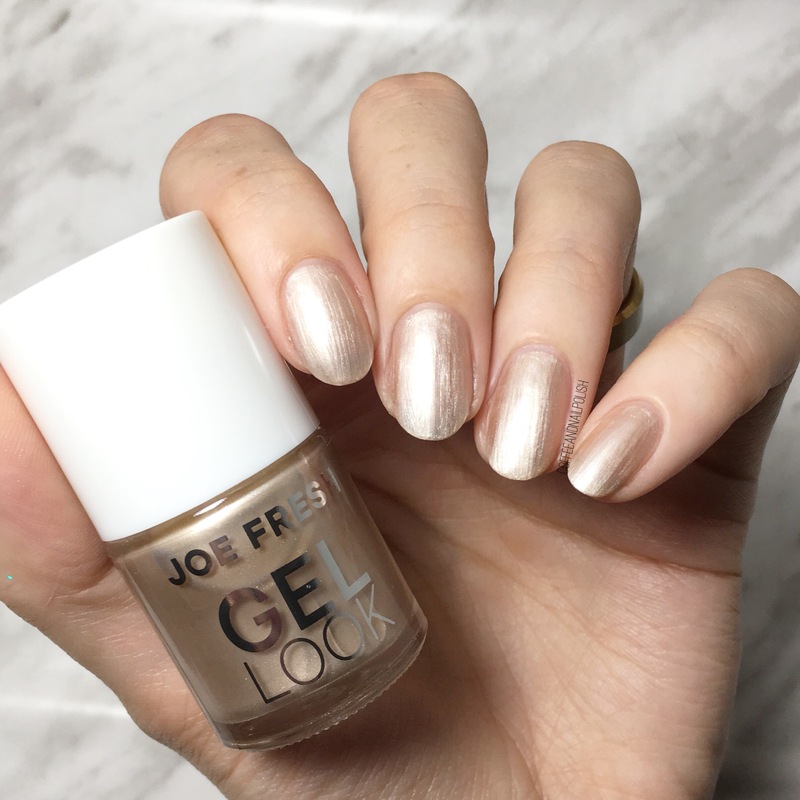 & I have not one but EIGHT polishes to share with you today from the Joe Fresh Gel Look Holiday 2017 collection. For my thoughts on the other Joe Fresh shades I’ve featured, feel free to check them out here. 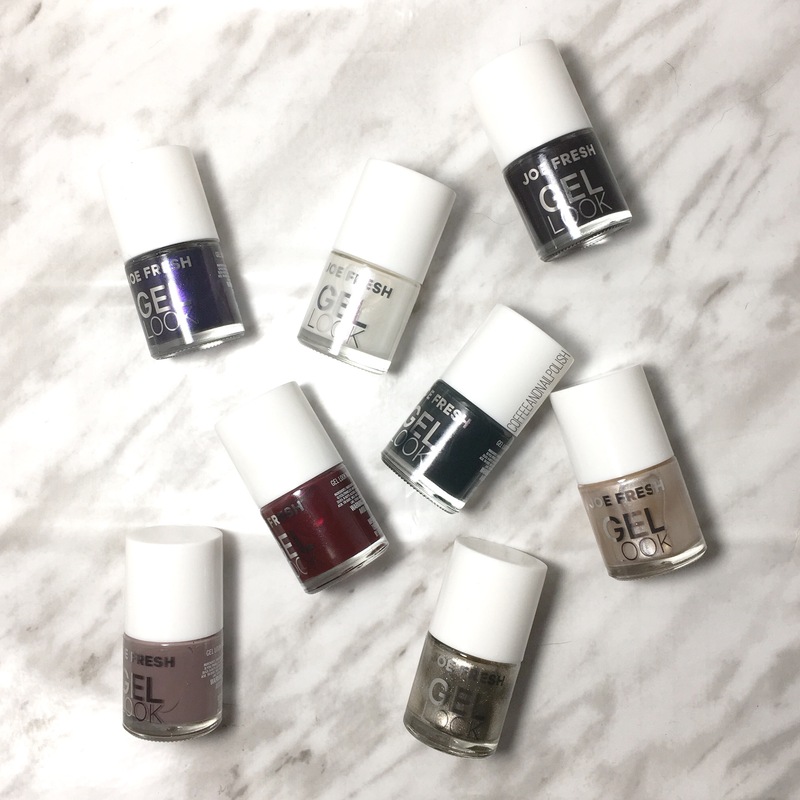 Like all Joe Fresh Gel Look shades, these polishes are designed to need no base or top coat, easily removes with nail polish remover, & is designed to last up to 14 days. First shade I have on my swatch fest is Mauve-ulous a taupe-y grey that leans a little brown. 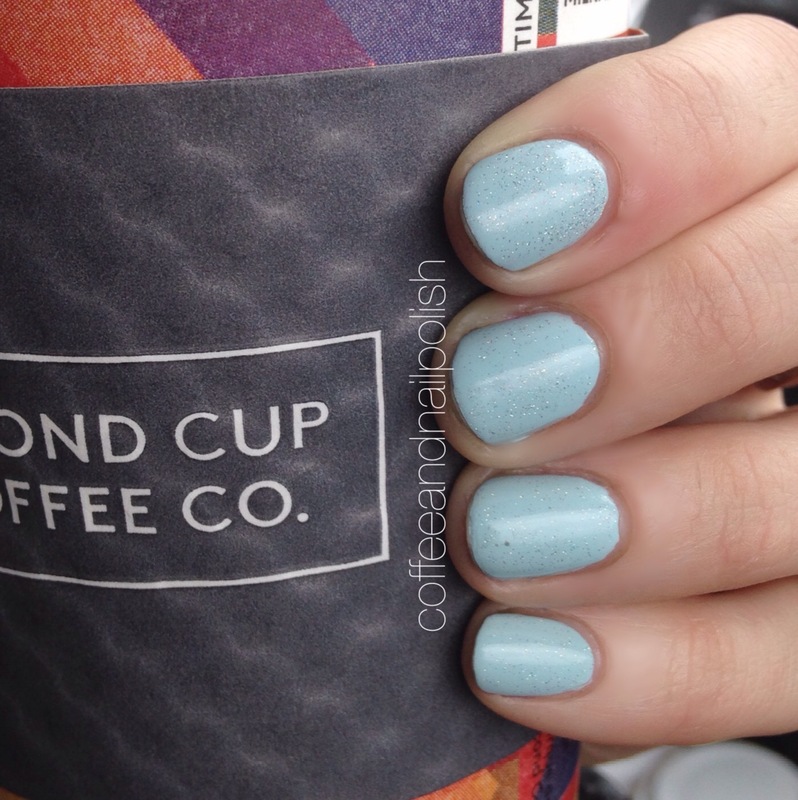 This is 2 coats for full opacity, with no base or top, & you can really see the flawlessness of the formula. 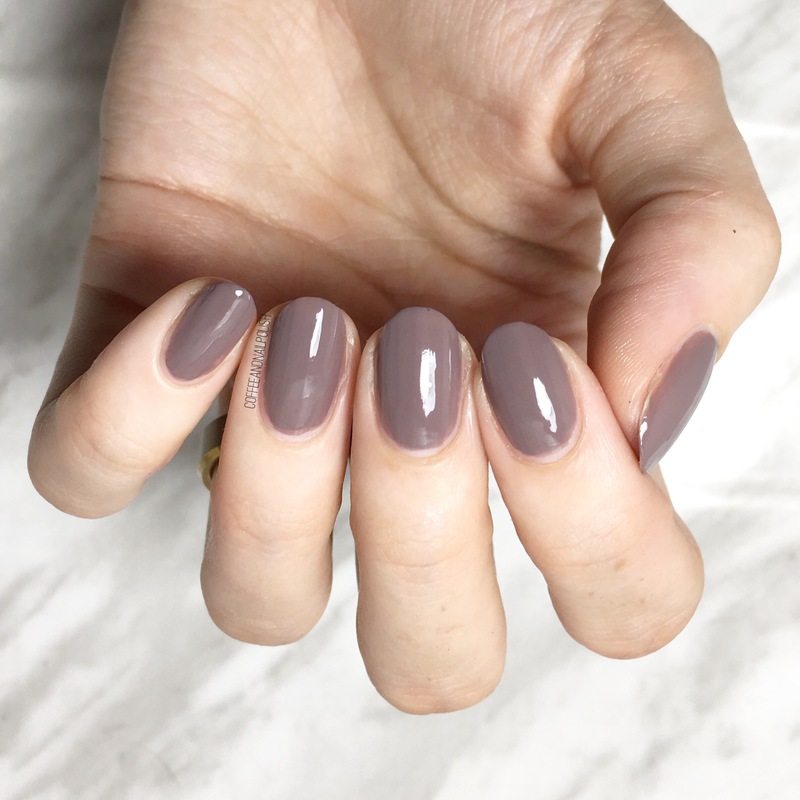 This isn’t a shade isn’t one I would normally reach for, but it is a great neutral shade. Next up is Frosted which is the perfect way to describe the pearl white polish. Again, I used two coats but I feel like 3 would be better to hide any patchy-ness. 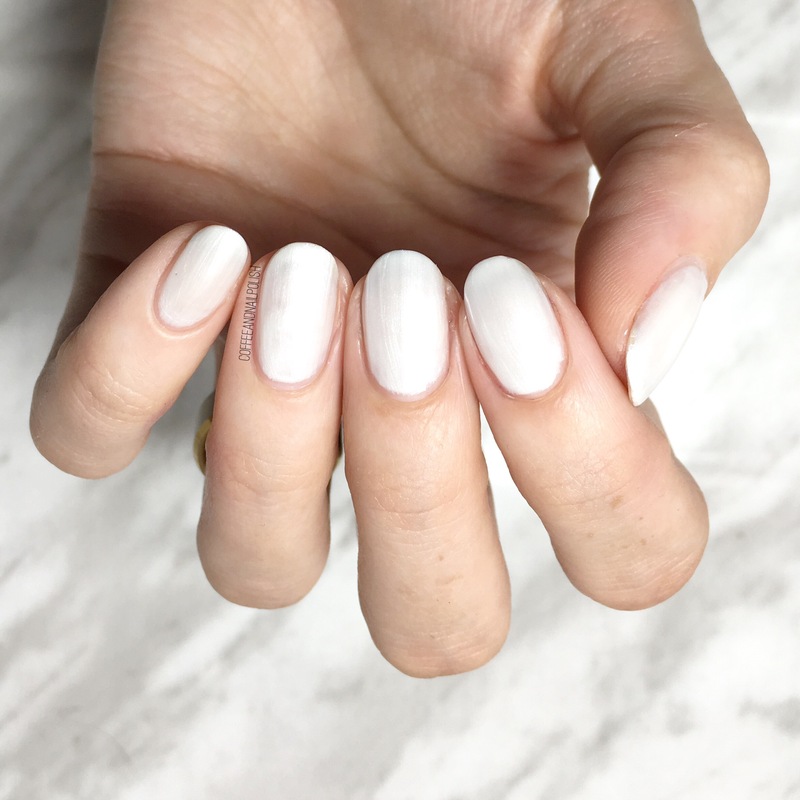 This shade feels very retro & brings me back to my love for white polishes just like this in the early 2000s, & I love it. Perfect white polish for the impending Christmas season. 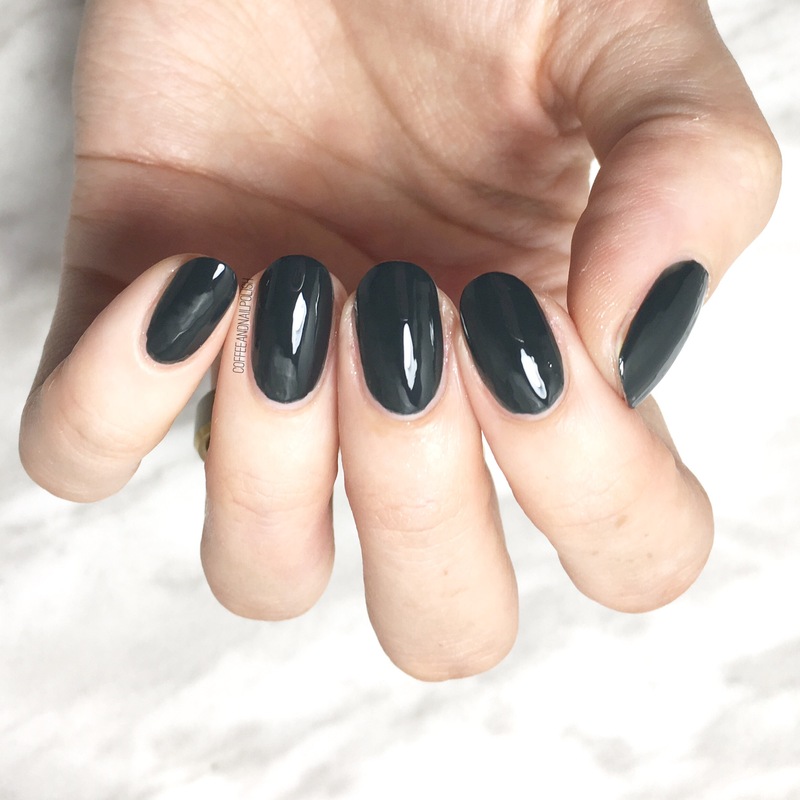 Soul Train is a two coat black polish that is dark & vampy & applies flawlessly. I don’t usually associate black nails with the holidays, but with some gold polka dots added (maybe using a few of the others from this collection) you’d have a great New Year’s Eve manicure. Another frosty shade from this collection, Pink Wish is also 2 coats. This pale frosty rose gold applies a bit better than the other frosted shade in this collection. 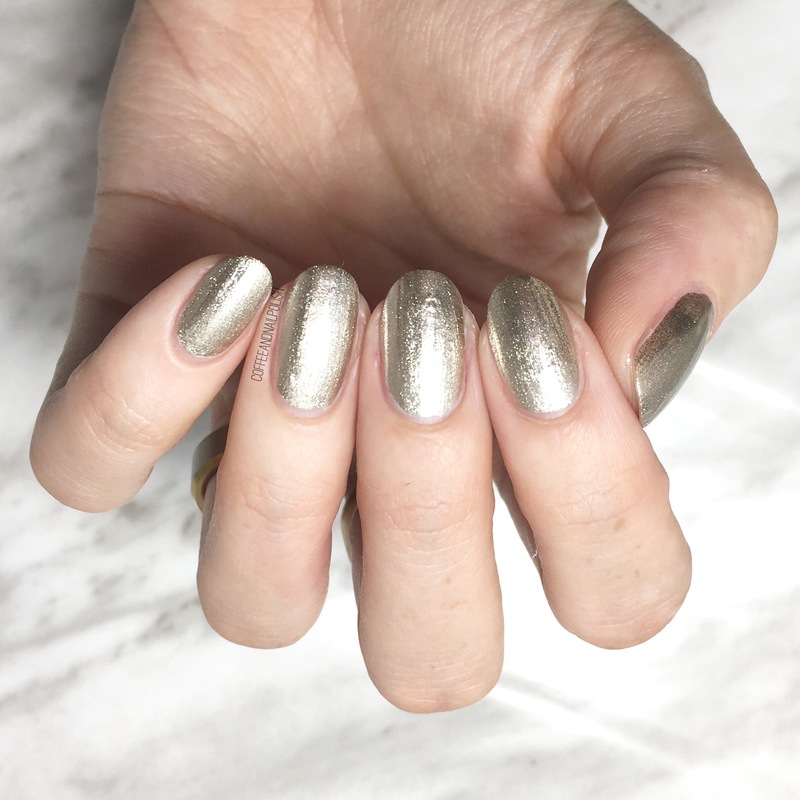 I’ll be honest—this is not a shade I would probably wear on its own (I don’t often wear golds alone) but it would be great as part of some nail art. 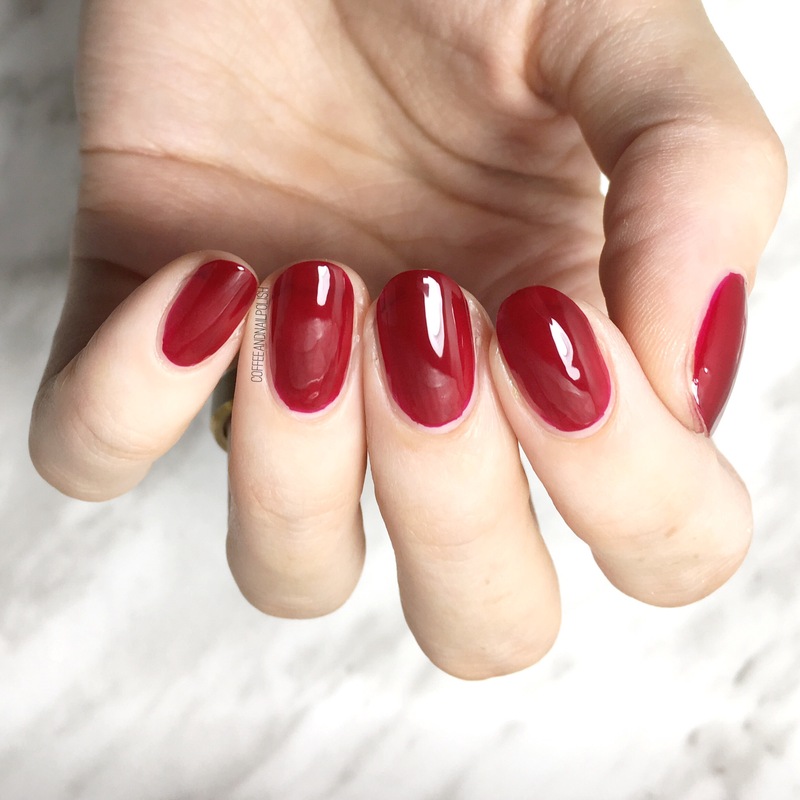 This crelly red shade is Lover’s Kiss & it was the only shade that needed 3 coats. You could probably survive with 2 if you don’t mind a bit of visible nail line but I prefer full coverage. This red screams Christmas to me & no holiday collection is complete without a little red. Next up we have another gold, this time with a metallic finish. Sparkling Glitz took 2 coats for coverage with minimal brush strokes when the polish dries down. You definitely want to let your polishbdry down before you’re second coat to avoid pulling your first coat. 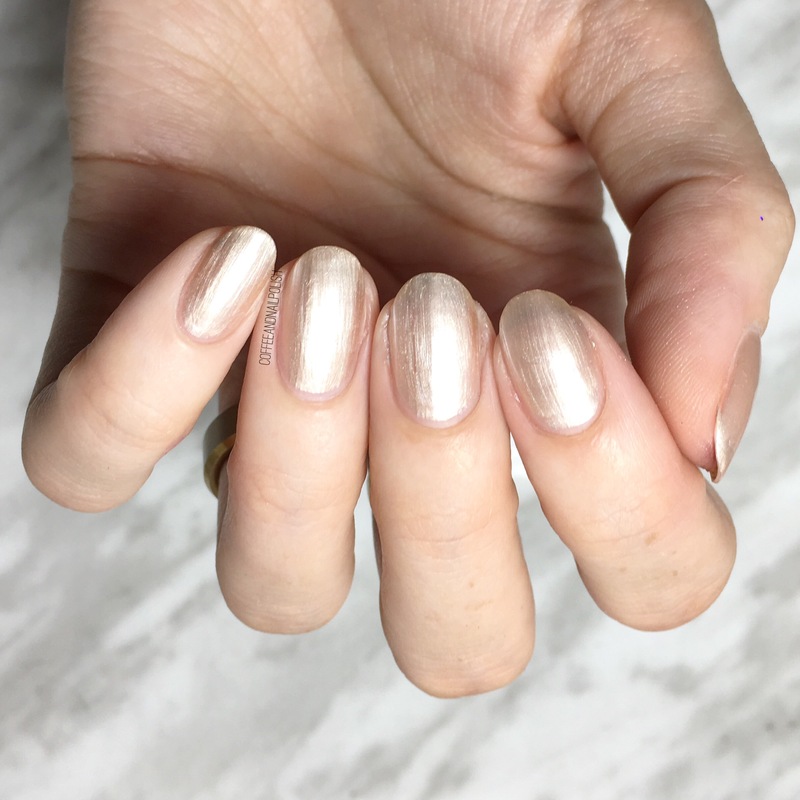 Okay can we talk about this polish? 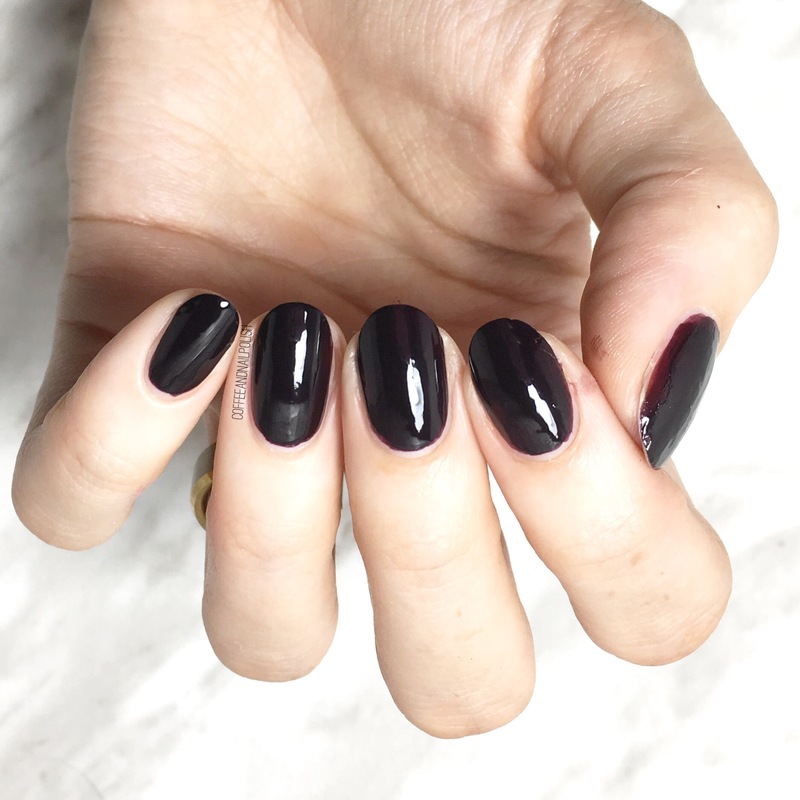 Dark Pine is another vampy shade that fits in so perfectly with a holiday collection. Again, 2 coats was all that was needed for flawless application. 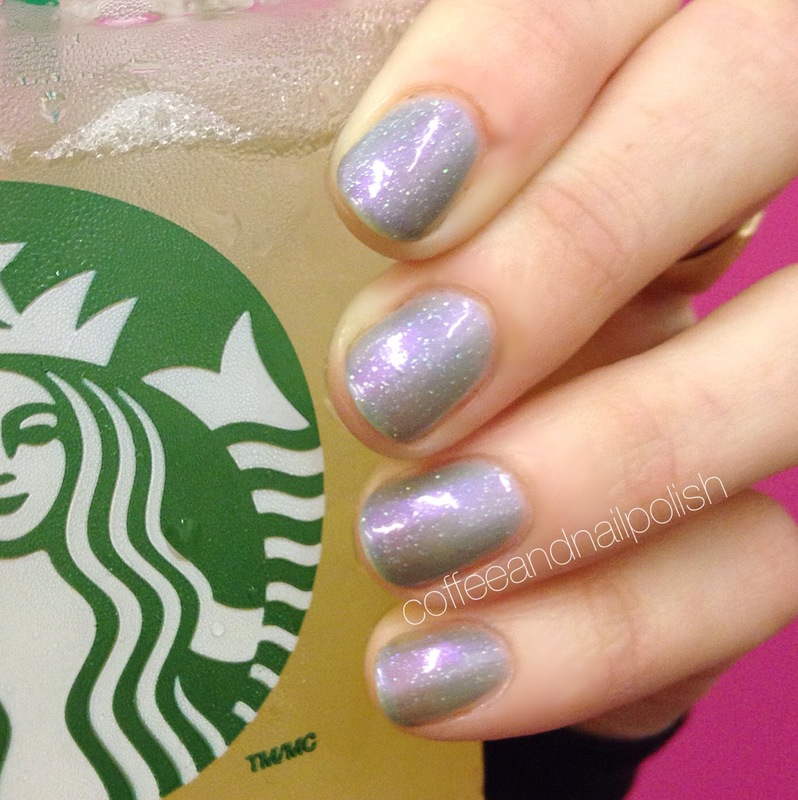 & this shade is just… it’s so pretty. & it’s not your typical holiday green which makes me like it even more! 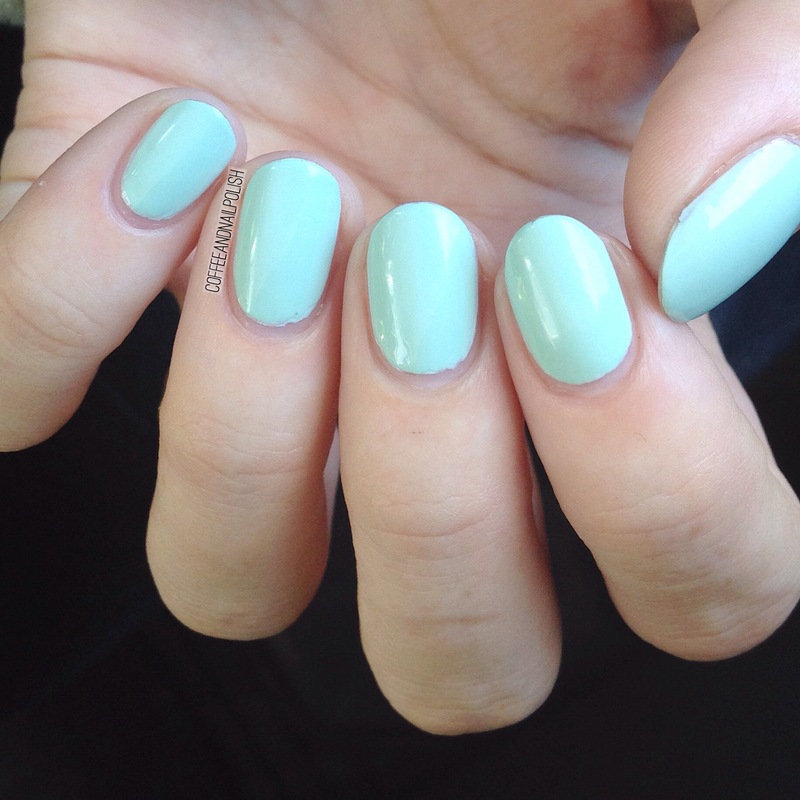 Last, but definitely not least, we have my absolute favourite shade from this whole collection! 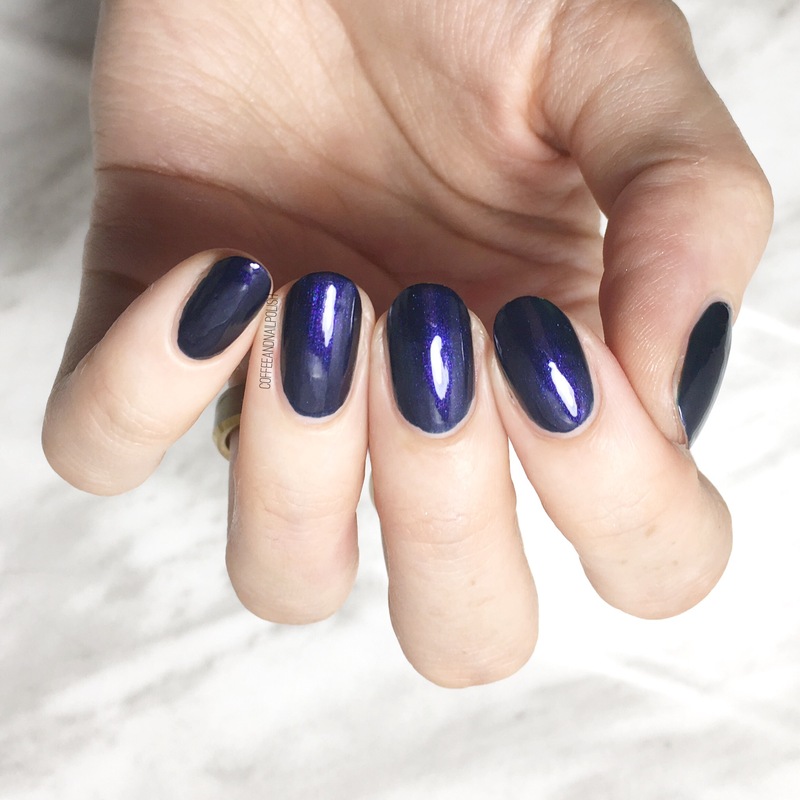 Gothika Blue is a deep shimmery blurple that took 2 coats for application. & it’s beautiful—it’s just straight up gorgeous. Like I don’t think I’ve seen a more beautiful polish. I’m going to need a couple back up bottles for sure. & that is it for the Joe Fresh Gel Look Holiday 2017 Collection! These shades are available to buy at your local Loblaws & Real Canadian Superstores for $5 each. Which of these 8 polishes are on your “have to have” list? Let me know your thoughts on this collection in the comments below! 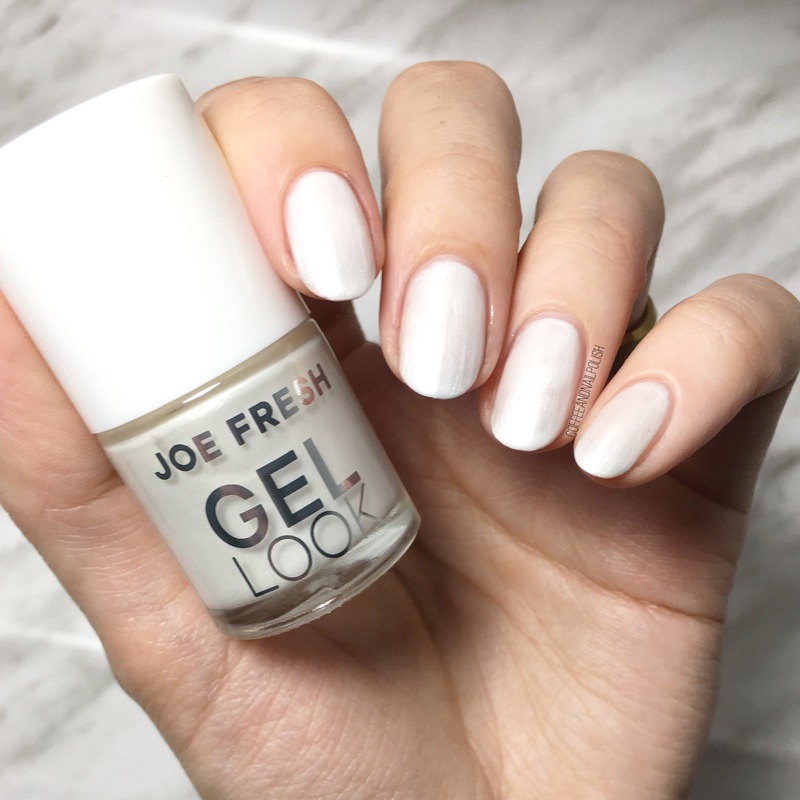 Joe Fresh Gel Look in Key Lime Pie 7 day test. As I teased in my last post, I wanted to test out the durability of the new Joe Fresh Gel Look polishes. They boast up to 14 day durability, so I wanted to see how long I could get the polish to last on my nails. I used to never wear my polish more than a day or two, but now that life has gotten busier I need a polish in my life that lasts between mommy mani time! From my original post, Key Lime Pie on the first day. For those who don’t remember from my previous post, I used three coats for application, with no base or top coat required. After a day of wear, (and many diaper changes on top of other Mummy duties!) polish still looked the same as the day before. After four days of wear, there was minimal tip wear, most notably on my thumb and pointer finger. Also you can really notice the growth at my cuticles after four days. After 7 days of wear there is noticeable chipping on my pointer, as well as serious tip wear on my other fingers. You can also see how much growth is at the cuticle after a week of wear. My other (dominate) hand saw similar chipping, although more. The chipping was enough for me that I wouldn’t want to go longer than I did (not to mention the growth at the cuticles). That’s not to say it couldn’t last longer, but for this experiment 7 days was my cut off. And for a polish that requires no base or top coat, I thought that was pretty impressive! 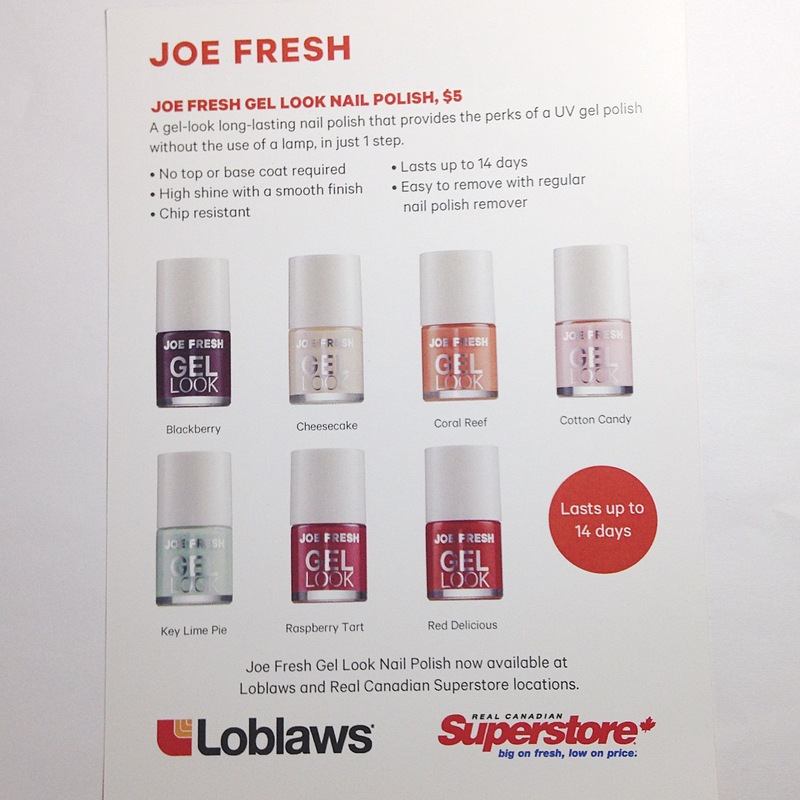 As mentioned in my previous post, these Joe Fresh Gel Look polishes can be found at your local Loblaws or Superstore for $5. Hello loves, it’s been a while! For those who don’t follow me on Instagram, I gave birth to our son last week so I’ve been spending the last little while snuggling with little Bubs and being a Mommy (with naked nails!) 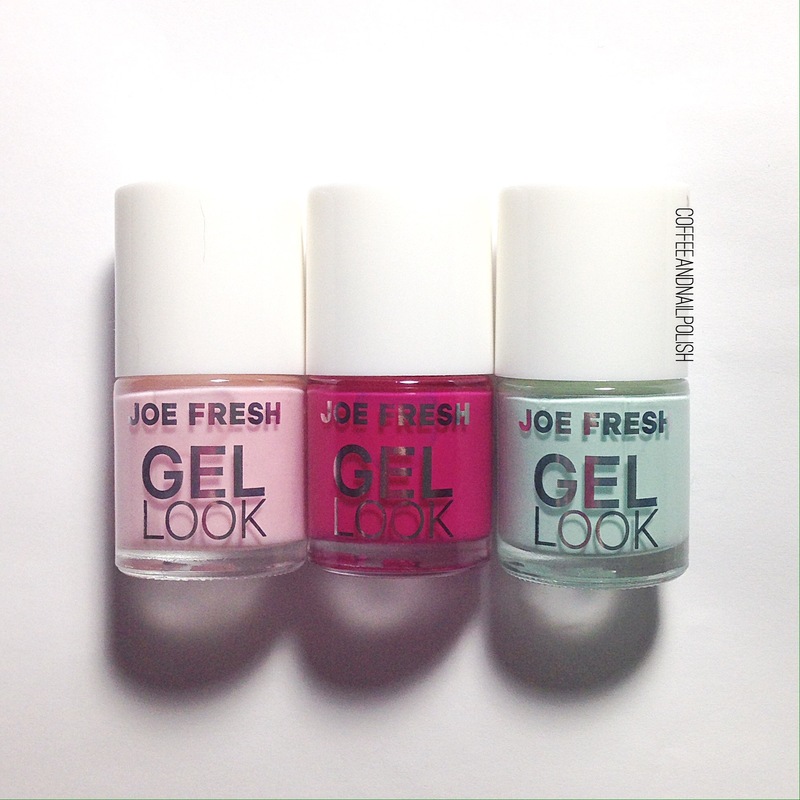 But I finally got a minute for my nails, which was perfect because I just so happened to receive these brand new Joe Fresh Gel Look polishes to test out! The colours I received for review were Cotton Candy, Raspberry Tart and Key Lime Pie. 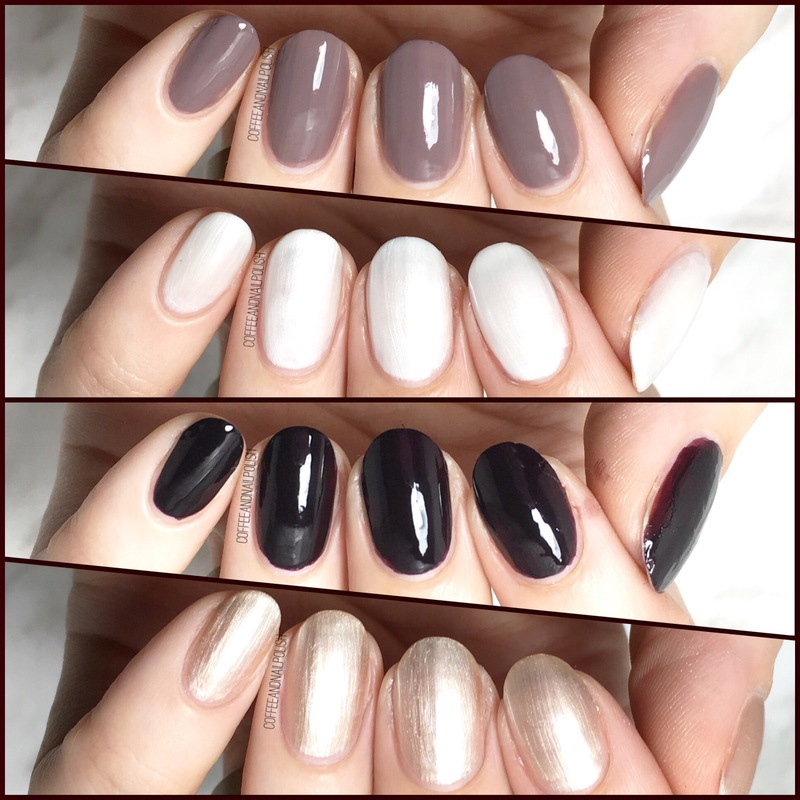 These polishes are designed to last as well as gel polish, without requiring a UV Light, base coat or top coat. As you can see from the release that came along with my polishes, they boast that this polish can last up to 14 days! I’ll have a second post coming where I review the lasting power of the polish to see how long it lasts for me. For my below swatches, I applied my polish as directed with no base coat and no top coat. again with the unplanned hiatus! I’ve been busy busy busy with work with no time for much else! 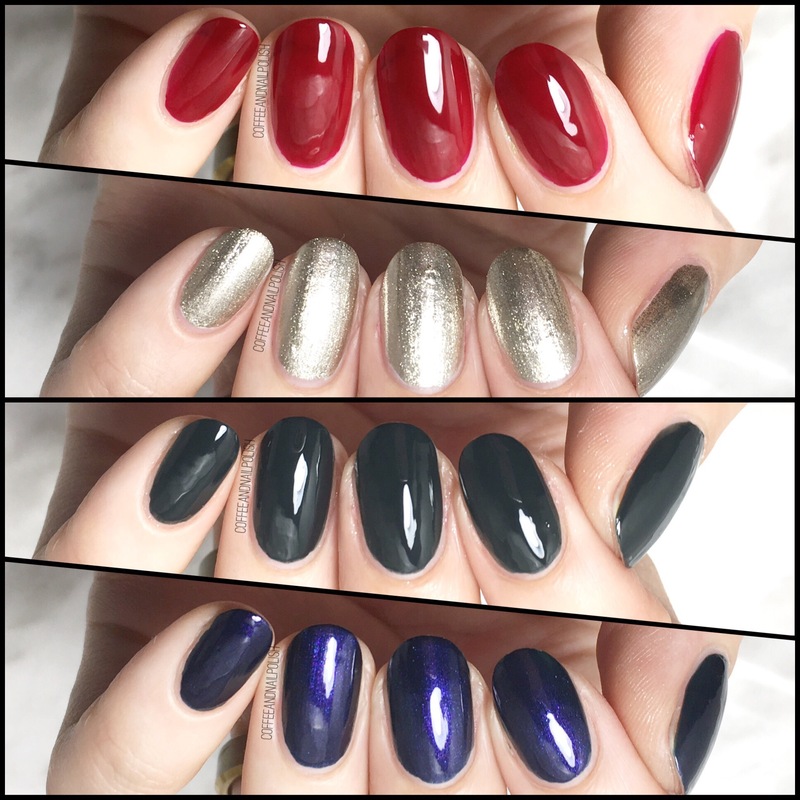 However, I can never go polish free so I thought I would share a few swatches of the polishes/polish combinations I’ve been wearing the last couple weeks. Hard Candy Sky (topped with China Glaze Fairy Dust) — I picked up a few of the Hard Candy 20th anniversary polishes at my local Walmart last month and obviously this one had to be in the bunch! Love love love! This polish makes me think of Buffy the Vampire Slayer and her pretty pastel nails which is exactly why I feel in love with polish in the first place! Sadly my Fairy Dust didnt want to show up for the camera but looked pretty in person as always. ACO by Ardene 80s Prom Dress — (layered over China Glaze Seas the Day) bright fushia pink with camera shy micro glitters. 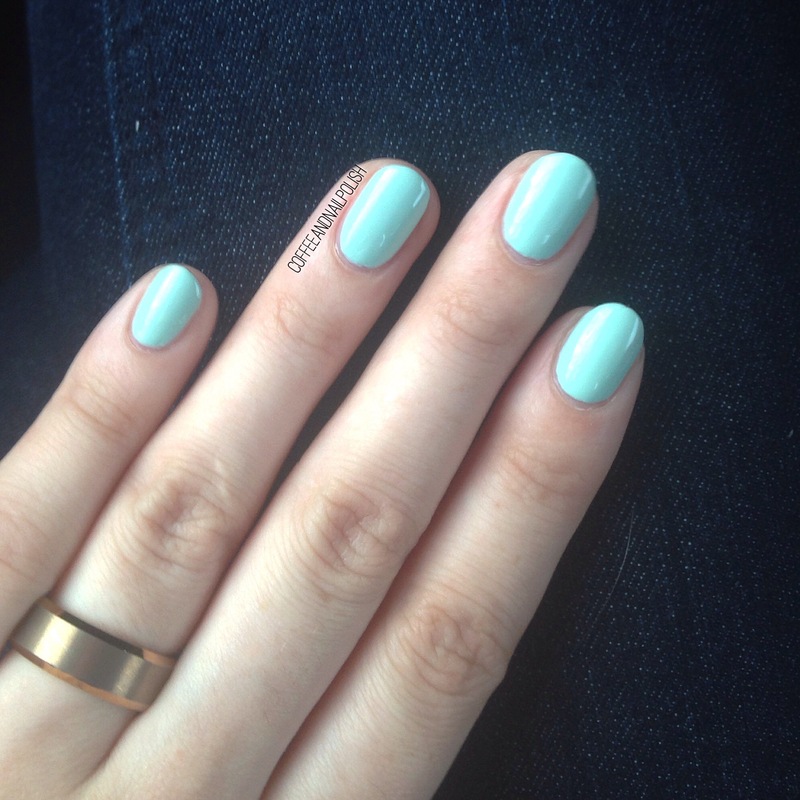 Definitely a perfect Summer colour! Again it’s pretty sheer on its own so undies were a must. I’m curious to try it out with a darker shade. 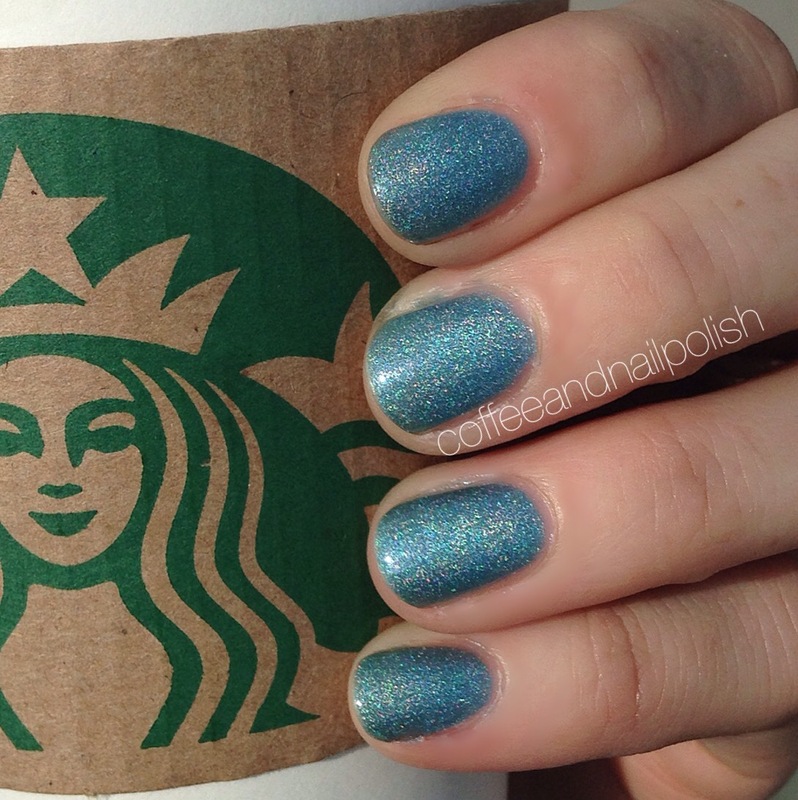 Nubar Absolute — Blue holo. 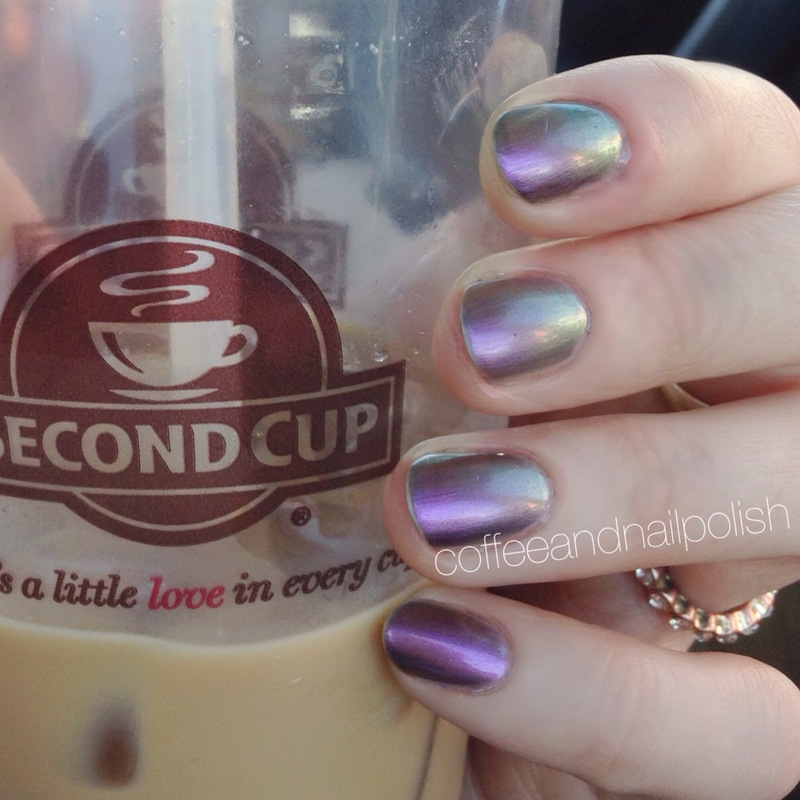 Seriously I’m holo obsessed right now and need them alllllllll. I tried my best to capture the holo in the sun, but don’t worry in person it cannot be missed! 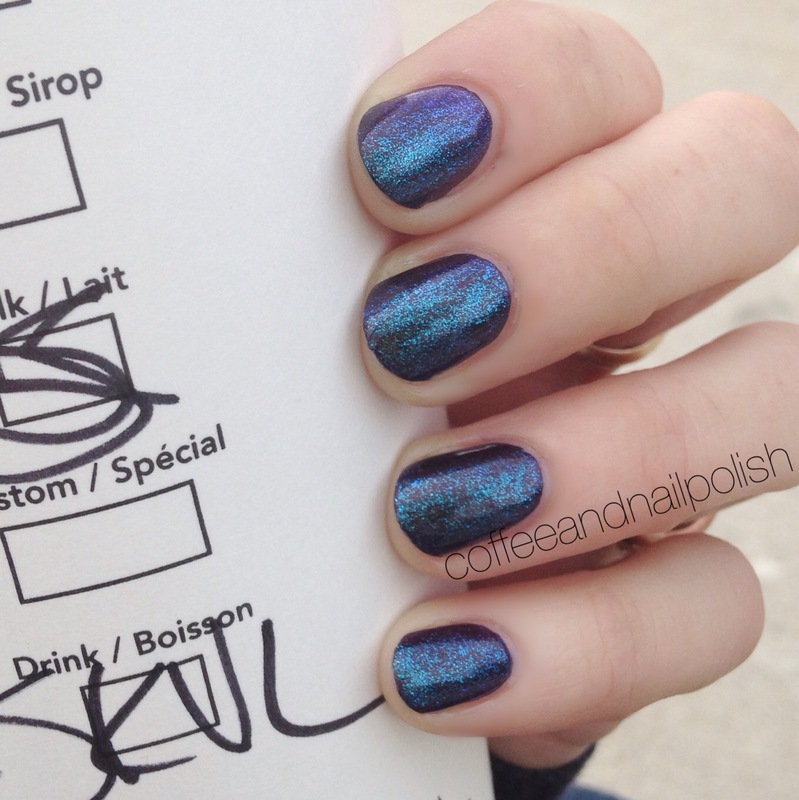 I also realize that I’m going to have to spurlge and pick up a few more Nubar holos because damn they’re so pretty! ACO by Ardene Crystal Fog layered over Hard Candy Zombie. Zombie is another 20th anniversary release from Hard Candy that the Mr. picked out for me, probably because we’re obsessed with iZombie lately! It’s a gorgeous purple on its own, but add a coat of Crystal Fog by ACO by Ardene and it turns into the most amazing duochrome. I don’t usually wear dark polishes in the Summer but this is definitely going to be an exception! 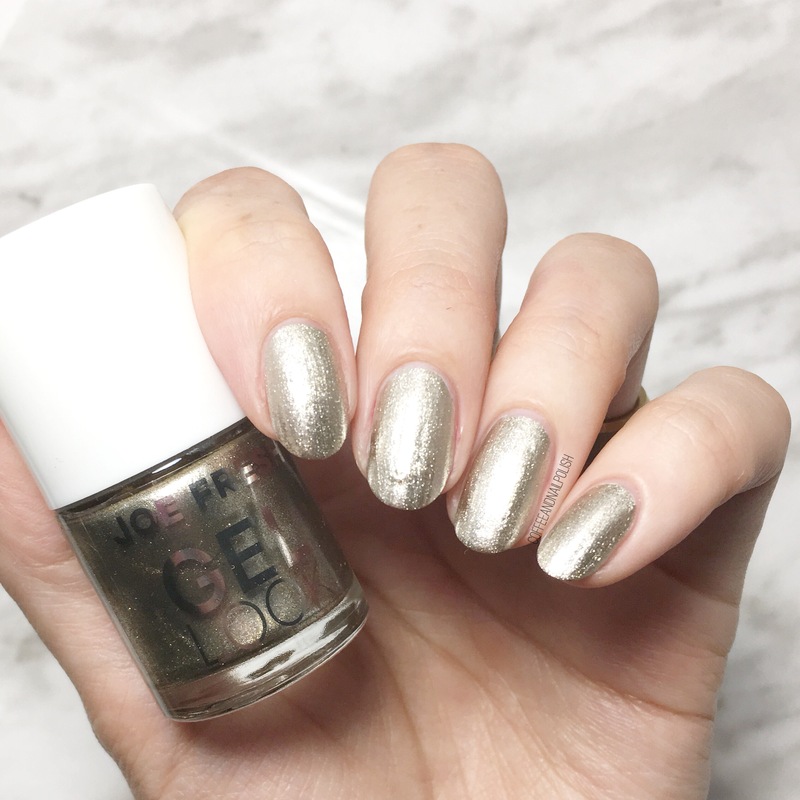 Joe Fresh Quartz — it was not easy to capture the shift of this polish on camera…. Just kidding! the above shot says everything you need to know. I literally spent all day staring at my fingers moving them around. Shifty gorgeous duochrome PERFECTION! I have a few Joe Fresh polishes in my stash but this is definitely my new favourite. It’s just so perfect.